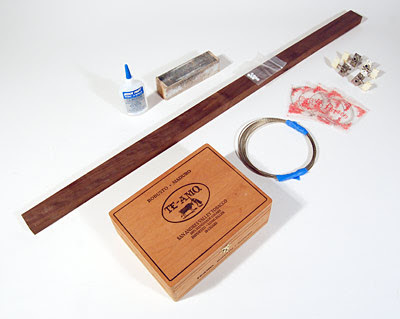 Steve Lodefink posted the build notes for his handsome cigar box guitar on his Finkbuilt blog. If you’ve never heard or seen CBG’s in action, you should treat yourself to a few of the videos on Cigar Box Nation. These things are a real hoot to play, especially with a bottleneck slide.